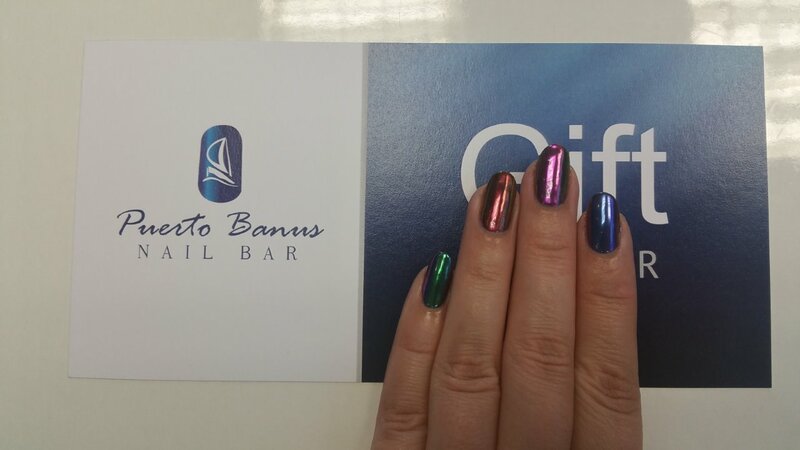 Mirror, mirror on the… nails! We are officially obsessed with mirror nails look and anything that comes along with it. Suddenly the market is flooded with all these amazing powders, that help us achieve these incredible designs and we couldn’t be more excited! The main one, of course, is mirror nails look. For years we tried to achieve it by using foils, chrome polishes, nail wraps. 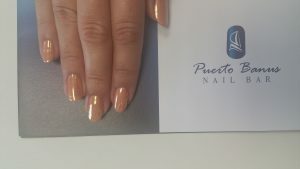 But recently our prayers have been answered, and we can offer you flawless, high shine, long lasting, mirror effect nails. 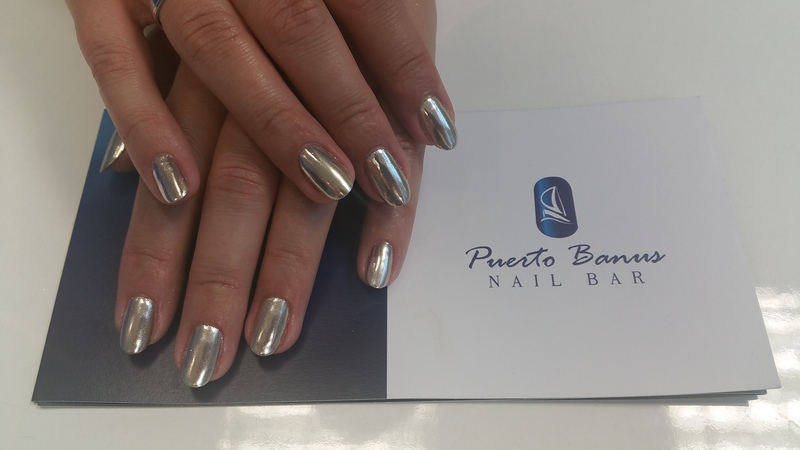 Silver, gold and chameleon mirror nails are the most popular in our salon. 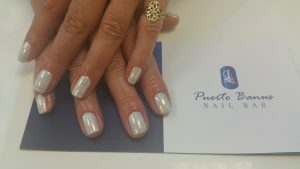 Silver powder that we use, has very strong pigment and can be applied on a clear gel polish. 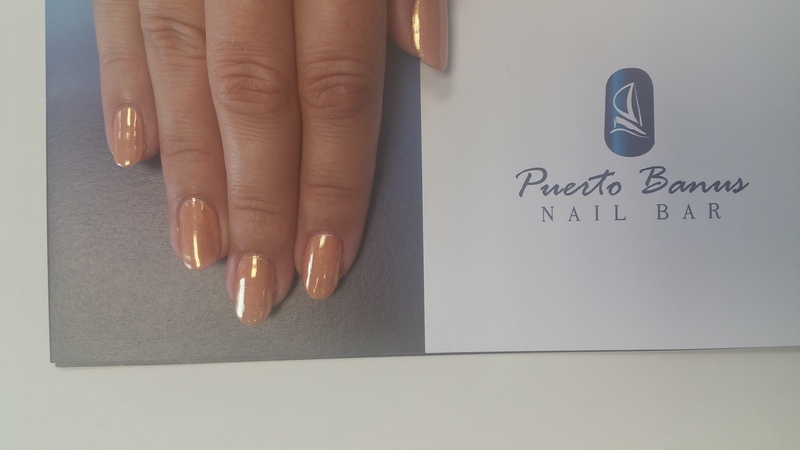 It gives the strongest mirror effect; you can really see your own reflection on your nails! 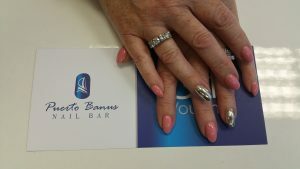 If the full set is too much for you, jazz it up with just one or two mirrors, or a French manicure – it looks great either way! 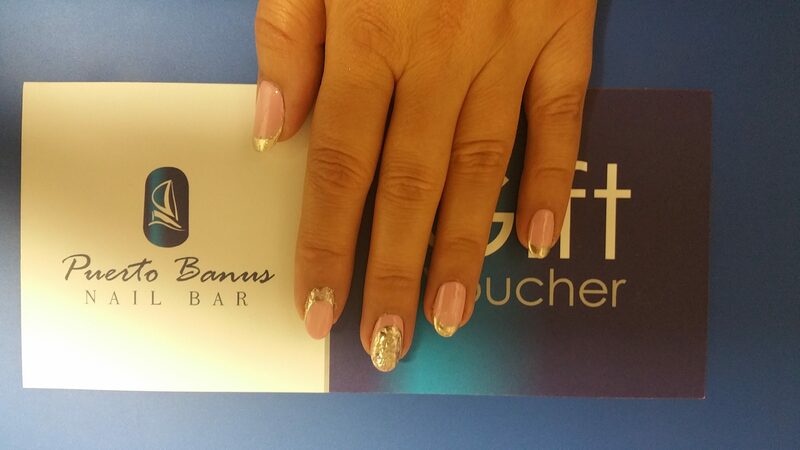 The gold powder looks best when applied on a base colour. 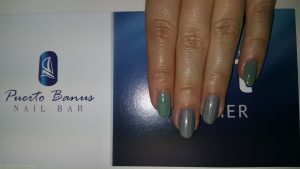 You can choose any colour and make it your own, there are no limits. 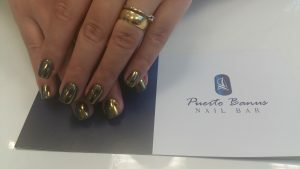 Here we have black gel polish base. 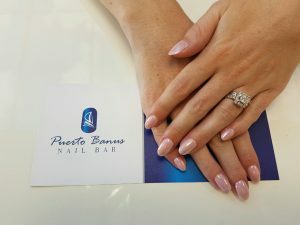 Pink polish base helps achieve rose gold look. Chameleon powder is absolutely loved by our clients who want to try this trend, but want to achieve more subtle look. It looks gorgeous on any shade of pink or purple. We also have different bold colours to offer for your mirror manicure. Another popular effect is called mermaid nails, it is chunky glitter and has all different shades in it. 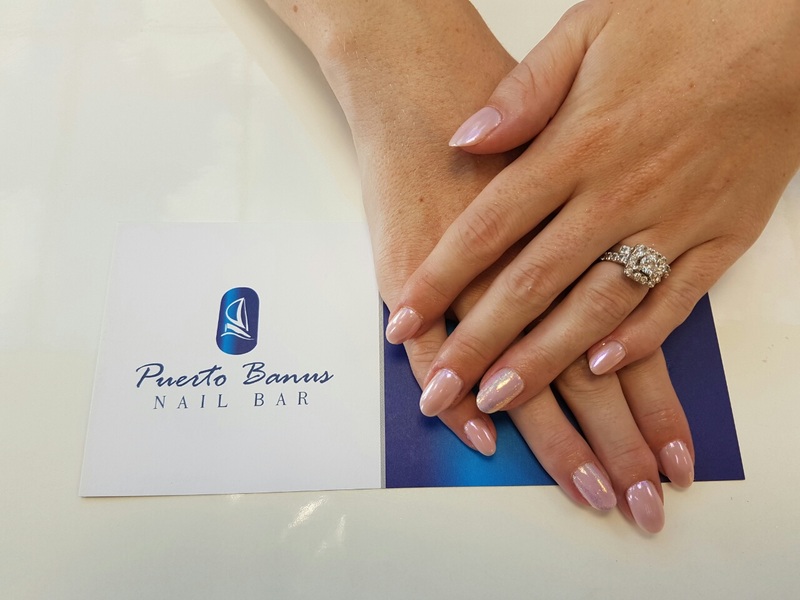 It is an amazing look for holidays, especially when applied on white or very pale pink colour. Holographic powder is the newest addition, it has a rainbow effect. It is fairly subtle, and can be mostly appreciated when it’s hit by the light. It is very hard to show this effect in a photo, so we have made a mini video for you, just follow the link below.